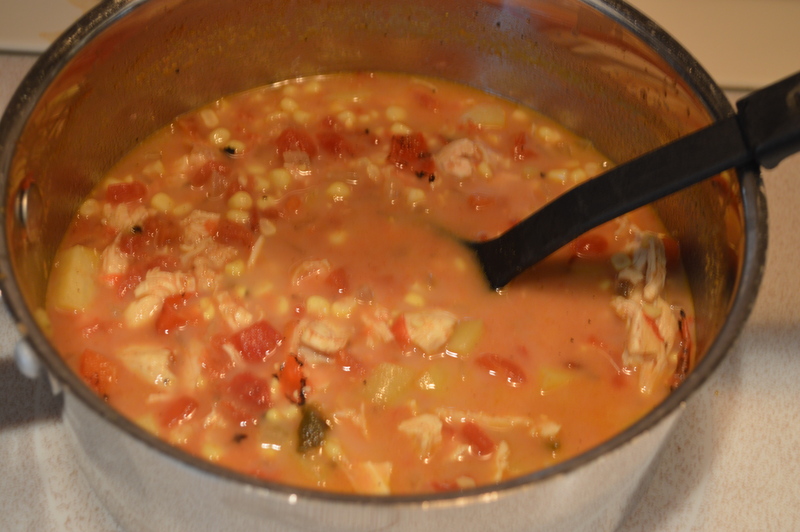 Coconut Curry Corn&Chicken Chowder – Dancin' and Cookin' in the Kitchen! A mouthful to say, and a DELICIOUS mouthful to eat!!! 2 steamed ears of corn, cut the corn off the cob and toss the cobs. Heat the olive oil in a large soup pot over medium heat and stir in the cumin and curry, cook for one minute to infuse the oil with spice. Add the chopped garlic and onion. Stir and cook for five minutes. Add the roasted corn, potato, canned fire roasted tomatoes with green chilis; stir for a minute. Add in the broth. Cover and bring to a high simmer. Lower the heat and simmer gently, until the potatoes are tender, about twenty minutes or so. Add the coconut milk and sauteed chicken tenderloins (diced). Stir and season with sea salt and ground pepper; and add a drizzle of organic raw honey to taste. Heat through gently- please DON’T BOIL it. Just before serving, add the chopped cilantro and fresh lime juice. Stir. Taste test. Adjust seasoning. 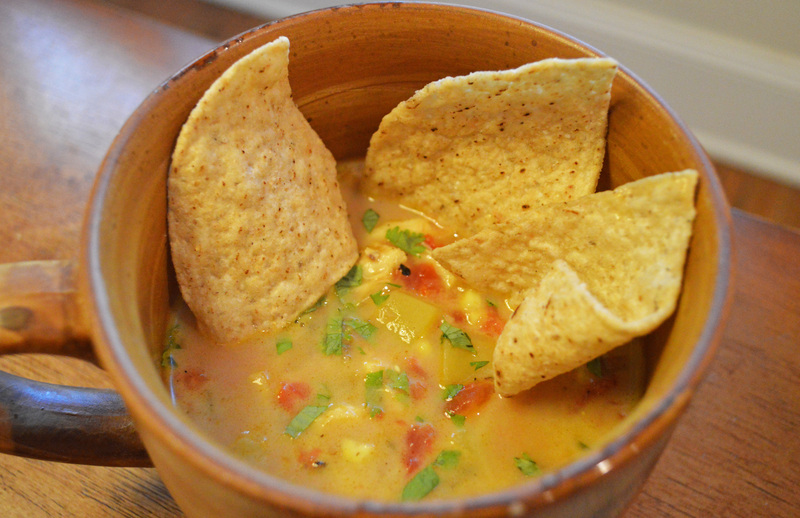 The lime juice brightens the taste and accents the spice. Honey cools the spice. Garnish with a lime wedge, and ENJOY! (It’s got a bit of heat too!!! YUM!). Serves 4-6 depending on serving size. This entry was posted in Main Dish, Mid-day and tagged chicken, chilis, coconut milk, curry, potatoes. Bookmark the permalink.